I have always been a UPrinting.com fan because of the awesome work and great prices they have provided me with. So I am happy to be able to give you all an opportunity to try out Uprinting on us! 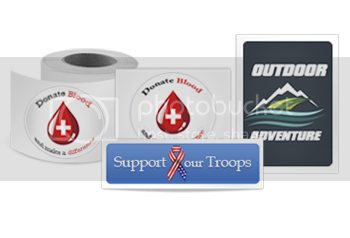 Everything from business cards, magnets, flyers, postcards and of course stickers can be made with your logo on it. Don’t have a logo? 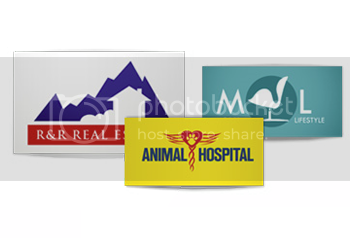 You can create one on their site or find something that fits you and/or your business through their standard label templates. That should help your creative juices flowing! So what are you waiting for? Check out the prize below and enter for your chance to win some awesome stickers to show off just how amazing your business is! Comment below with what you would use the stickers for. Contest Ends: July 21st, 2011 at 11:30pm EST. Winner will be notified via email. Disclosure: This giveaway is sponsored by UPrinting, no monetary compensation was given and I will receive stickers for hosting. I could use these for my blog! Spreading the word and building my name at upcoming #BlogHer11! Oh yeah! pick me! Like UPrinting on FB and told them you sent me on their wall! I would use these to print my QR code on and would stick them on all of my business cards to hand out at BlogHer! Following on Twitter and FB. I can use em to spread sticker Mojo. I liked and post on FB! I would use the stickers to help introduce myself and my blog. I am so shy and forgetful I think it would really help!! Ooh, I would use the stickers for all the Smart Money Chicks!